The composers of the music for Armonia Celeste are not yet common names among concertgoers. This is unfortunate, as the quality of their music and contributions to the history of music is often enormous. It is especially true of Luigi Rossi, the prime composer for Armonia Celeste’s current concert and forthcoming recording. Rossi was born in southern Italy in the town of Torremaggiore, and apparently received his early training in Naples under Giovanni de Macque. However, where he really made his mark was in Rome, where he served several patrons, including Cardinal Antonio Barberini. 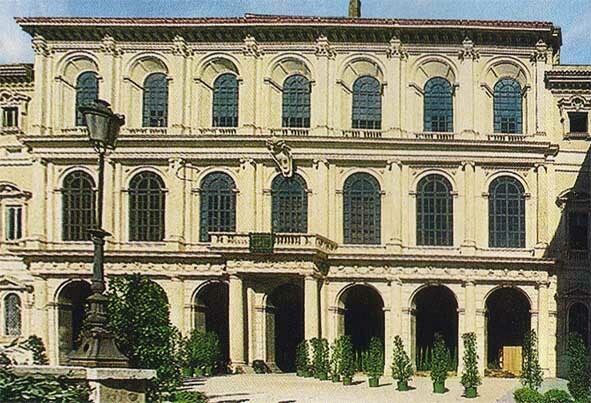 The Barberinis were great patrons of the arts, and Rossi’s first opera, Il Palazzo Incantato (The Enchanted Palace) was written for them in 1642. In 1645, the Baberinis were forced to leave Rome, and relocated temporarily in France under the protection of Jules Mazarin. Under his influence and that of the Barberinis, Rossi produced another opera, Orfeo; though long, this opera has a great deal of wonderful music (and received a fine production at the Boston Early Music Festival in 1997). Rossi returned to Rome for a final time in 1649, and died a few years later in 1653. Although these two operas were significant, the major part of Rossi’s output was within the realm of the cantata, a repertoire that numbers around 400 pieces. These pieces are composed in a great variety of styles and for various numbers of performers. The greatest share of them is for solo soprano, but there are a number of duets, trios, and quartets, which make the music obvious for the three sopranos of Armonia Celeste. Earlier in the century, there was a division of styles — the more serious monody madrigals that were first championed by Giulio Caccini, and the more metrical “aria” style, often written in strophic dance forms. Rossi was able to take these styles and combine them within a single piece, giving it greater variety and often length. He was always aware of the text and its needs for a musical interpretation. Where the libretto demanded that the listener understand the story or meaning, he would use the monody or a freer, more reciting style. Where the meaning was lighter or more universal, the more metrical styles took precedence. Rarely do these styles last longer than a minute before the ear is refreshed and the mind becomes interested in different music. Some pieces use strophic variation — that is, the libretto is basically organized in verses. This is the type of piece for which earlier composers would compose music for just the first verse and leave the underlay of the subsequent verses to the performer without changes in the music. However, Rossi would essentially retain the music for each verse, but would pay attention to the subtle changes and needs of each, writing a few variations as needed. (“Fanciulla son io” on the Armonia Celeste website is one of these strophic variation pieces.) This close attention to the details of the libretto is one of Rossi’s hallmarks, making the music interesting and intriguing to perform and hear. As harmony was not yet codifed into strict rules, he would often use harmonies that were quite advanced for the time, with added notes or dissonances foreign to the key or mode — wonderfully intriguing. Of special interest here might be the little chorus from Orfeo, “Dormite begl’occhi” (which can also be heard on the Armonia Celeste website), where one finds a “d” added to a c minor chord and several other small but beautiful dissonances. Another connection with Armonia Celeste was that Rossi’s wife, Costanza da Ponte, was a famous harpist considered to be one of the finest musicians of the time. The use of harp to perform the continuo accompaniments was certainly a common practice for Rossi’s compositions in his time, and reflected in the performances by Armonia Celeste. Very little of his music can be found in modern publications, and much of the music for Armonia Celeste comes from transcriptions from the original manuscripts. As the number of works is so great, we are always finding new and exciting music to perform, a search that will continue for years. Rossi became quite famous in his time, and there were numerous attestations to his compositional abilities. Perhaps the greatest tribute was by Giovanni Perti, who listed him with Carissimi and Cesti as one of the three “major lights of our profession,” an accolade that we think deserves current recognition as well.